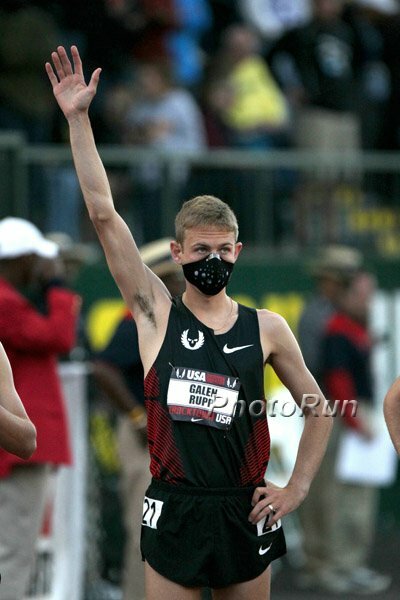 No blog can ever have too much Rupp Mask. Anyway, I think the most interesting thing about the trials is that I am a contender! Yes, you read that that right. At least according to Runner's World. So maybe I haven't met the A- (or B-) standard. But, look at this! Tera Moody is was? * running, and her best is a 2:30 half marathon! I can do that! Yeah, I get that it's just a typographical error (that they've since fixed). But let's go with it. In all seriousness, I know it's trendy to be into Desiree Davila because she kind of rocks. But I love me some Tera Moody, and not just because she's a fellow Chicagoan and we have the same initials. *She's injured, but I can't find any suggestion that she's out of the race. I'd rather see Desi take it than one of the "pretty" girls. Desiree Davila passed me going up Heartbreak Hill at the 2007 Boston Marathon. I think she ran like a 2:48 that day, which shows both how far she has come over the last 5 years and how stupid fast I went out that day. I'll still be pulling for Kara, though. Holy #$@#, Mike. Pardon me while I go look up your 2007 Boston splits and get (even more) impressed with you. Pulling for Kara, though? Not Shalane? Yeah, I guess I prefer brunettes. Is Deena Kastor running? This has gotta be her last rodeo. My friend Serena Kessler is racing in the trials too! If you see her give her a shout out!